My day job is in the architecture/interior design field and it’s been a busy first quarter. I think the long work days combined with “life” in general caught up with my body and my body won. I was down for the count part of the weekend with a terrible migraine, so it was nice to take it easy in the kitchen on Sunday and practice the art of slow living. I admit – it’s a lot easier to just buy the pre-made log at the grocery store and call it a day (which is probably why it’s been such a long time since I’ve made cinnamon rolls from scratch). But where s the reward in that? These buns are a balance of salty and sweet, crusty and gooey. While I would love to eat the entire pan of buns in a single sitting tonight while watching The Walking Dead, you can wrap them in plastic and pop them in the oven for an easy Monday morning breakfast. In a large bowl or KitchenAid-type stand mixer combine warm water, almond milk and 1 tsp of brown sugar and the yeast. Set aside this mixture for ten minutes while you prepare other ingredients. You’ll notice the mixture begin to froth as the yeast activates. 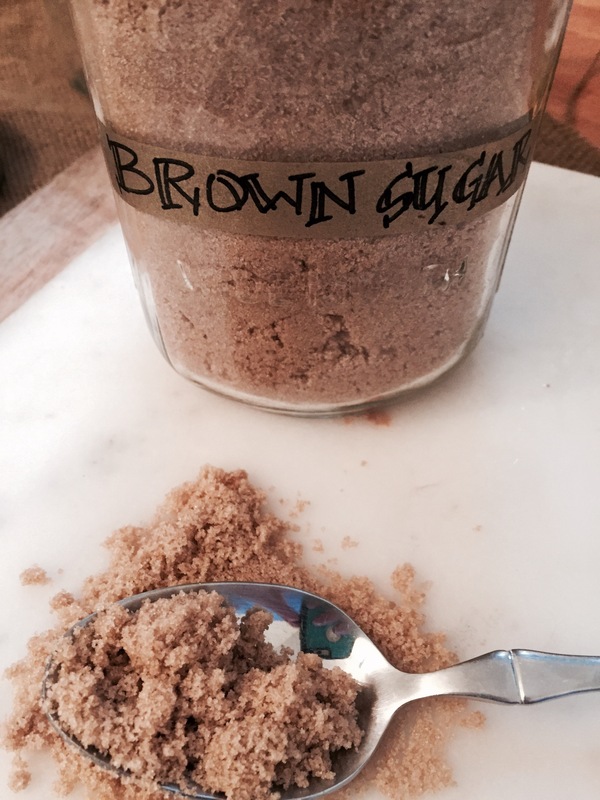 Combine the flour, brown sugar, cinnamon and salt in a separate bowl and mix together. Add vanilla, butter and egg to the yeast mixture and whisk to combine. Using the paddle attachment on your stand mixer, slowly add in the dry ingredients. I usually add 1 cup at a time. keep an eye on the consistency. You don’t want the dough to be too sticky or dry. Put the dough in a greased bowl, cover with plastic wrap and set aside for an hour – allowing it to double in size. While your dough is rising, make the filling. Filling: Mix the softened butter, sugar, salt and cinnamon together and set aside the filling. Once your dough has doubled, push it down and begin rolling out your dough to 1/8″ thick. I worked in a couple of small batches rather than rolling it all out. Using a 3″ round cutter, cut out your dough pieces. If you don’t have a round cutter, a ball jar lid or ramekin works just fine in a pinch. Prepare a 9″ pie dish or cake pan by brushing with oil. Brush each dough round with the filling, fold it in half. Brush the half round with filling and fold again. Begin to place each roll around the dish until the pan is full. I used some of the remaining filling to brush the tops of the rolls. The dough will be snug, but it’s okay to have small pockets of space. You want to let the rolls rest another 5-10 minutes before baking which will allow the dough to rise again and fill in the gaps. Pop the buns in the oven for 30 minutes, until they are a golden brown. Remove from the oven and let cool for about 10 minutes. While they are cooling, take this time to make your icing. Combine all ingredients in a small pot, bring to a soft boil and remove from heat. Drizzle the icing over the buns, reserving a small amount in a ramekin for dipping. Now – tear and share.